Regret is powerful. And while it affects everyone differently, it’s how we deal with our regrets that defines who we are today and who we will be tomorrow. In a medium known for virtual killing and dying without consequence, regret is a theme almost never explored in video games. It happens to also be what makes Red Dead Redemption 2 such a powerful and memorable experience. In storytelling and world-building, Rockstar Games truly pushes video games into uncharted territory. This Red Dead Redemption 2 is a masterclass in most aspects of game design, and while the slow-burn approach may not enthrall everyone who plays it, the developers and artists have created a modern marvel and one of the greatest video game stories of this or any generation. The game takes place in a fictionalized version of the United States in 1899, 12 years before the events of the 2010 original. While John Marston is still a part of the Van der Linde Gang, the focus this time around is on Arthur Morgan, a veteran gunslinger and right-hand man to notorious outlaw Dutch van der Linde. The story picks up after an attempted bank robbery goes horribly awry and the Van der Linde gang is forced to flee into the mountains, unsure of how they’re going to survive. After they escape the Pinkertons and the snowy perils of winter, it falls upon Arthur and the leaders of the gang to establish a safe homestead while also trying to plan one last heist that will send them all to paradise. While it sounds like a story we’ve all heard before, the characters and their interactions are what separate Red Dead Redemption 2 from almost every other game that came before it. This is truly an intimate and melancholy adult story. Not in the satirical and obscene way Grand Theft Auto paints American life, but in its heavy themes of regret and the pursuit of an American Dream in a country that doesn’t want these people anymore. Arthur feels a level of sorrow and hindsight that only people who’ve lived long enough to make mistakes can possibly comprehend. Dutch yearns for a life that no longer exists in a new industrial age. Yet these men continue down a path that offers little hope in the new United States. And while the main story is a great achievement in itself, some of my favorite moments came in the quiet moments when Arthur was interacting with his fellow gang members. What Rockstar captures so well that other games don’t is that these are people. Some good, some bad, most neither and both at the same time. It’s a somber story that blends its sadness with entertainment and action in a way few games have done before. In between these quiet and intimate moments are fun and exciting set-pieces. The game nails the classic Western tropes of robbing trains and banks while also keeping the player on their toes with a few fantastic twists along the way. And while the writing is superb, it wouldn’t have the impact it does without some amazing performances by the game’s voice actors. Everyone in the Van der Linde Gang does a fantastic job, but Benjamin Byron Davis (Dutch) and Roger Clark (Arthur) are true standouts and give some of the best vocal performances of all time. While the ending of both the main story and the epilogue are extremely satisfying, especially for fans of the first game, I did find the overall experience to be just a tad overlong. There are multiple bombastic moments that feel like climaxes, yet the game continues to tell its story for hours after their conclusion. Especially toward the end of the game, my patience for galloping through the countryside waned, and I found myself rushing and fast-traveling to try and finish the story. But when I felt any sort of fatigue, Rockstar’s worldbuilding would always reel me back in. The open world of Red Dead 2 is a sprawling playground in which my jaw continuously hit the floor. In the same vein as The Legend of Zelda: Breath of the Wild, almost everything you see is tangible and can be explored without a single loading screen or impedance to your progress (outside of ornery gang members and man-eating grizzly bears). And outside of possibly The Witcher 3 and CD Projekt Red, no developer has succeeded in making a digital world feel so alive, which may sound cheesy but is very real in practice. Animals feel natural instead of placed. The people of Strawberry, Valentine, and Saint-Denis feel like they have lived in their respective environments. Encounters with strangers feel genuine instead of scripted and can have real ramifications down the road. While it wasn’t frequent enough to feel disingenuous, I was rewarded multiple times by people I had saved hours before in believable ways that fit into the story of their lives. Little moments like these drew me even further into this mysterious but fascinating space the good people at Rockstar have so lovingly created. In fact, the freedom the developers give you can be almost daunting. This is a world overflowing with satisfying secrets that are as jarring as they are magical when you discover them without the help of a guide or the Internet. And tempting as it is to look everything up, I can assure you it is so incredibly satisfying to stumble upon these secrets for yourself. There were multiple times I found myself gasping as I came across a gruesome surprise in a random cabin or deep in the woods. This game is so rich in content that I still feel like I’ve barely scratched the surface, even after 95 hours and counting. And in a game so full of surprises and different things to do, it doesn’t hurt that it’s also beautiful to look at. Amazing graphics feel like a foregone conclusion in today’s AAA gaming space, but it would be an insult not to give an immense amount of credit to the developers who crafted the amazing visuals of Red Dead 2. This game needs to be seen on a 4K display and on an Xbox One X or PS4 Pro, plain and simple. The far-off vistas are as graphically complex and gorgeous as the up-close details of someone’s home and the towns that they occupy. It was so easy to hop on a horse and ride for hours while taking in a natural world that has never felt so real. But the true jaw-dropper is the lighting. From the gorgeous glow of sunsets over the mountains to the light peering through the trees and penetrating the mist in the early morning, Red Dead 2 had many a moment where I had to set my controller down and marvel at the scenery in front of me. And when it was time to pick the controller back up and fight my way through the ugly those beautiful vistas contained, Red Dead 2 continued to satisfy, for the most part. The game is an exercise in patience and tedium—every action and animation is slow and deliberate, from actually skinning animals to physically looting enemies and even brewing your own coffee. And while this choice will be seen as slow and boring to some, I had quite the opposite reaction. Once I accepted the slow burn in which Rockstar was making me experience its story, I found myself becoming that much more immersed in the everyday actions I wouldn’t have thought twice about if I were just mashing buttons. It made the world even more palpable and satisfying then I could have imagined before diving in. As for the gunplay and meat of the gameplay, those who’ve played Grand Theft Auto and the original Red Dead will be right at home, for better or worse. The guns feel solid and are great to shoot. The Dead Eye mechanic is back and as satisfying as ever, and I loved the moments when the game aligned the enemy AI just right for a round of cinematic and brutal headshots. The mechanics in this game are integral to the immersive experience but aren’t without fault. In intense, time-sensitive story moments, I found myself taken out of the experience because Arthur wasn’t properly aligned with whatever I was supposed to interact with at that moment. That led to frustrating deaths or weird bits of animation that brought me out of the story and reminded me that I was still playing a video game. The same can also be said of character and horse movements. 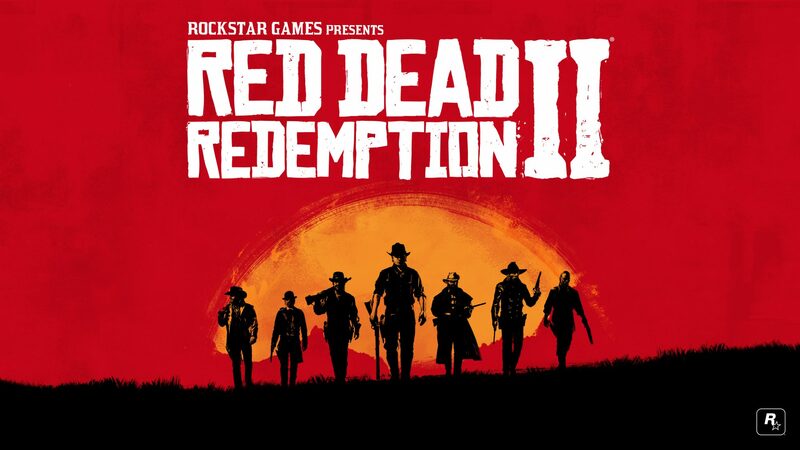 Though relatively unchanged from previous Rockstar games, the running and movement can feel awkward and sluggish if players venture off the path the game is trying to lead them down. The results, while sometimes hilarious, can cause frustration when they happen at the wrong moment. That said, every game is going to have it’s minor bugs and annoyances, and none came close to ruining my overall experience of this titan of a video game. Red Dead Redemption 2 is not a game for everyone. It’s a bleak story about regret and morally ambiguous people that isn’t always the most fun to play. But that’s the point. With its deep characters, gorgeous world, and fun but melancholy story, Rockstar has absolutely created one of the most immersive, intimate, and mature video games we’ve seen to date. It is a game that demands your full attention and will be talked about for years to come as a narrative experience that pushed the boundaries of what video–game stories can do. Alex is usually the biggest nerd in the room, with a deep love of video games, movies, and hip-hop. He grew up a Nintendo kid but is now an equal-opportunity console gamer. If you enjoy his lunacy, feel free to listen to him on his movie podcast and on Twitter.